"Easy Street" is another one of Charlie Chaplin's short comedies, featuring Edna Purviance, a star of Silent Hall of Fame. The film is very entertaining with a lot of action, and has a strong rating in IMDB. Edna Purviance is a church worker in "Easy Street" (1917). 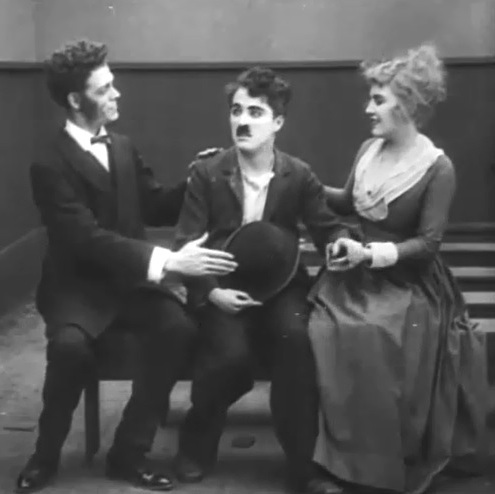 Albert Austin and Edna Purviance save the soul of Charlie Chaplin in "Easy Street" (1917). 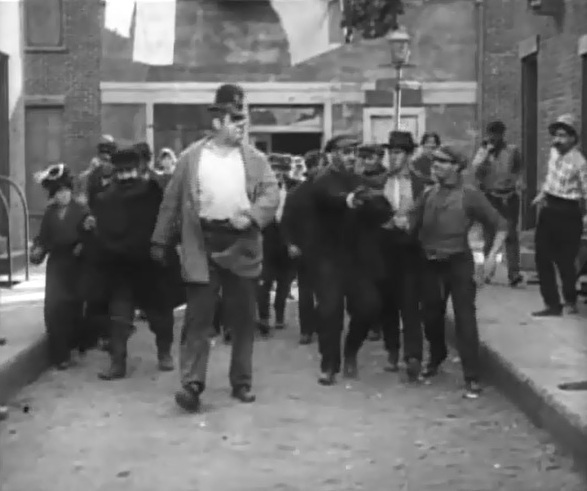 Eric Campbell is the king in a lawless street in "Easy Street" (1917). 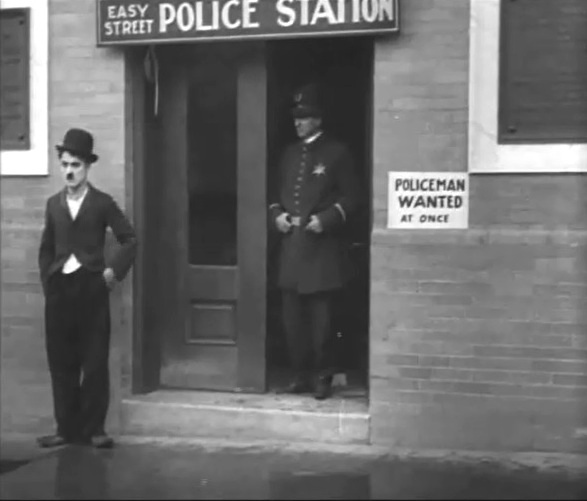 Charlie Chaplin sees a job opening as a cop in "Easy Street" (1917). 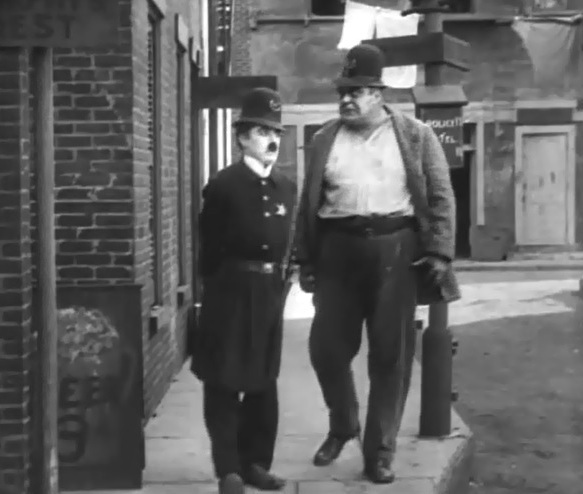 Charlie Chaplin is interviewed for the cop job in "Easy Street" (1917). 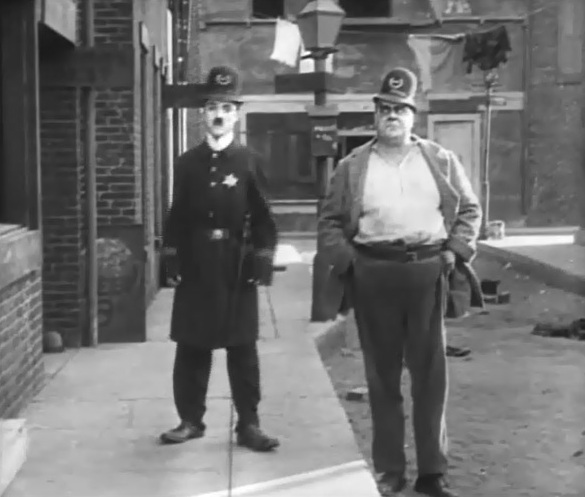 Charlie Chaplin gets the cop job in "Easy Street" (1917). 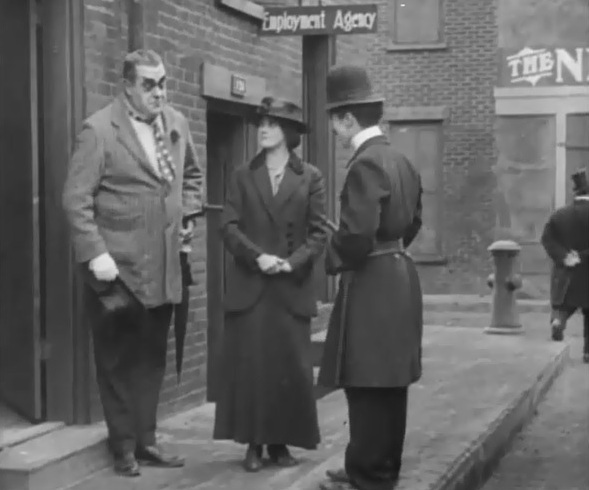 Eric Campbell is the law in "Easy Street" (1917). 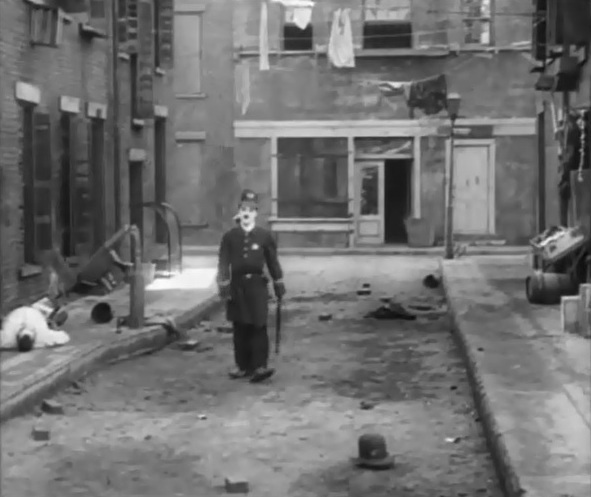 Eric Campbell rules in his kingdom as Charlie Chaplin starts work in "Easy Street" (1917). Eric Campbell shadows Charlie Chaplin in "Easy Street" (1917). 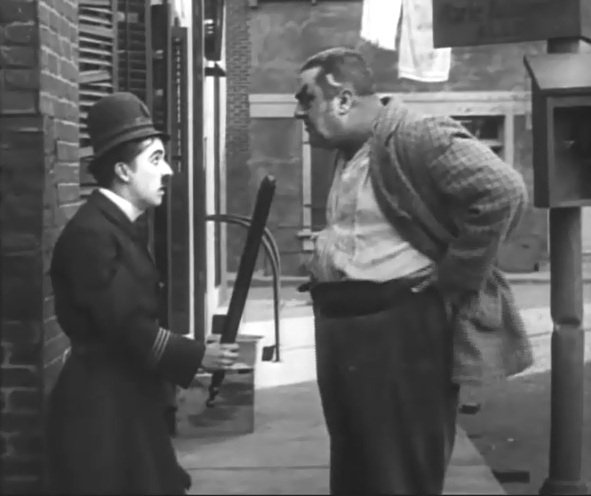 Eric Campbell is ready to dispatch Charlie Chaplin in "Easy Street" (1917). 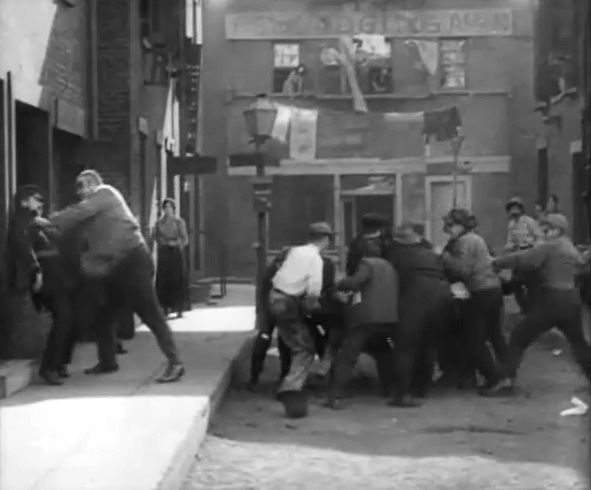 Eric Campbell is too strong for Charlie Chaplin in "Easy Street" (1917). Eric Campbell is not impressed by Charlie Chaplin in "Easy Street" (1917). 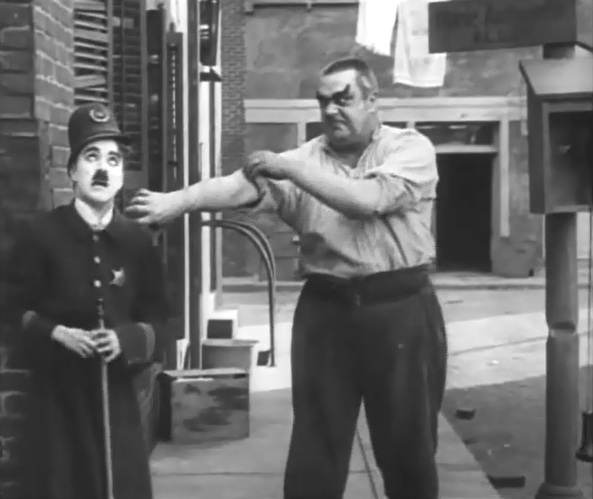 Eric Campbell is getting ready to deal with Charlie Chaplin in "Easy Street" (1917). 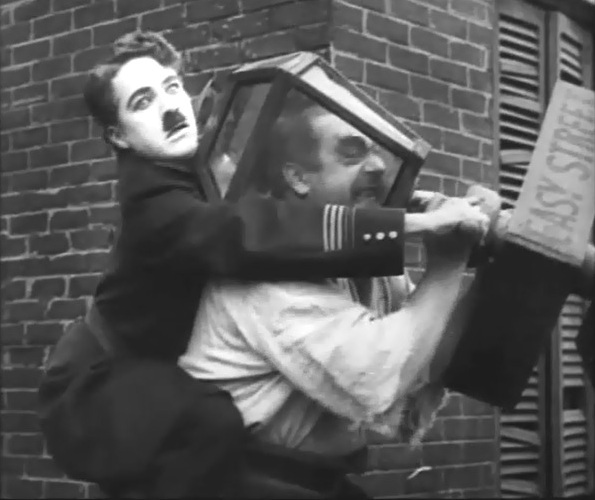 Eric Campbell is tamed by Charlie Chaplin in "Easy Street" (1917). 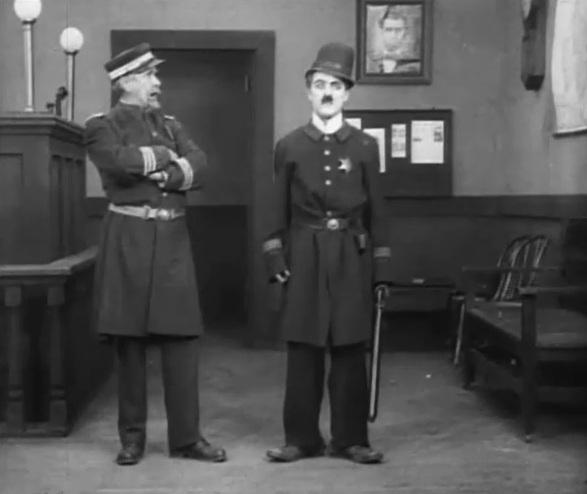 The new ruler is Charlie Chaplin in "Easy Street" (1917). 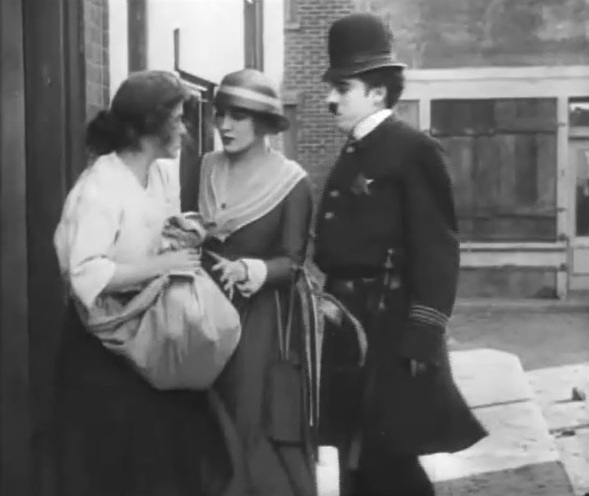 Edna Purviance and Charlie Chaplin meet a poor woman in "Easy Street" (1917). Edna Purviance and Charlie Chaplin are in danger in "Easy Street" (1917). 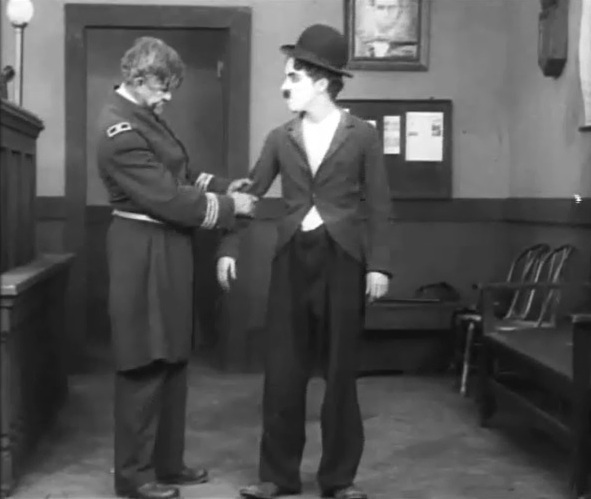 Eric Campbell has Charlie Chaplin cornered in "Easy Street" (1917). 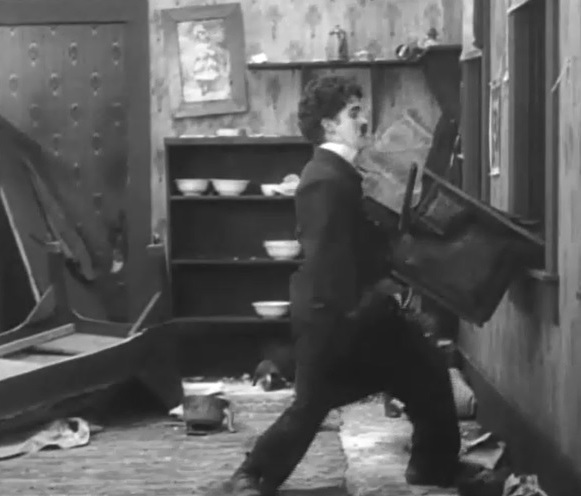 Charlie Chaplin throws a stove on Eric Campbell in "Easy Street" (1917). Edna Purviance is in trouble in "Easy Street" (1917). Edna Purviance is in a perilous situation in "Easy Street" (1917). Edna Purviance and Charlie Chaplin find a happy end in "Easy Street" (1917). 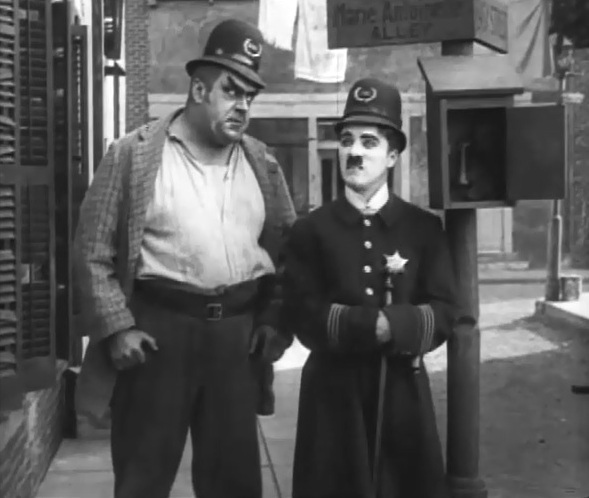 Eric Campbell pays respect to Charlie Chaplin in "Easy Street" (1917). Edna Purviance and Charlie Chaplin have a quiet moment in "Easy Street" (1917).